The smallest of the eight knives in the Paraframe series, the Mini is based on the same frame-lock design. It's a beautifully simple open frame knife with a fine-edge blade that is lightweight, easy to clean and opens effortlessly. Built with a smooth stainless steel handle and a clip for secure travel, the Paraframe Mini is what a small everyday carry folder should be. 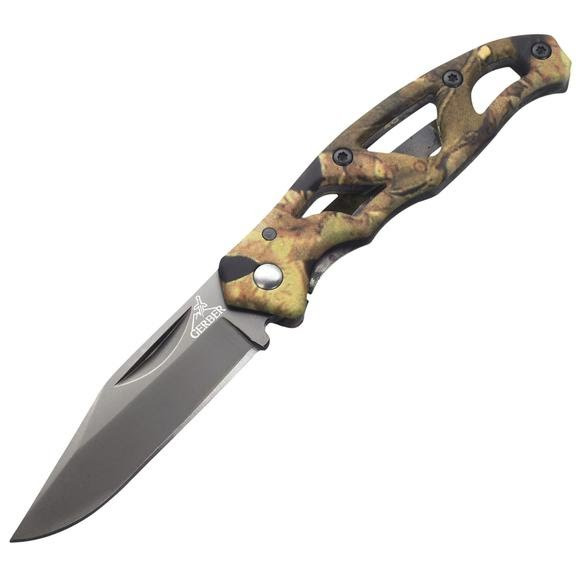 The smallest of the eight knives in the Paraframe series, the Mini is based on the same frame-lock design. It&apos;s a beautifully simple open frame knife with a fine-edge blade that is lightweight, easy to clean and opens effortlessly. Built with a smooth stainless steel handle and a clip for secure travel, the Paraframe Mini is what a small everyday carry folder should be. Overall Length 5.25"; closed: 3.07"